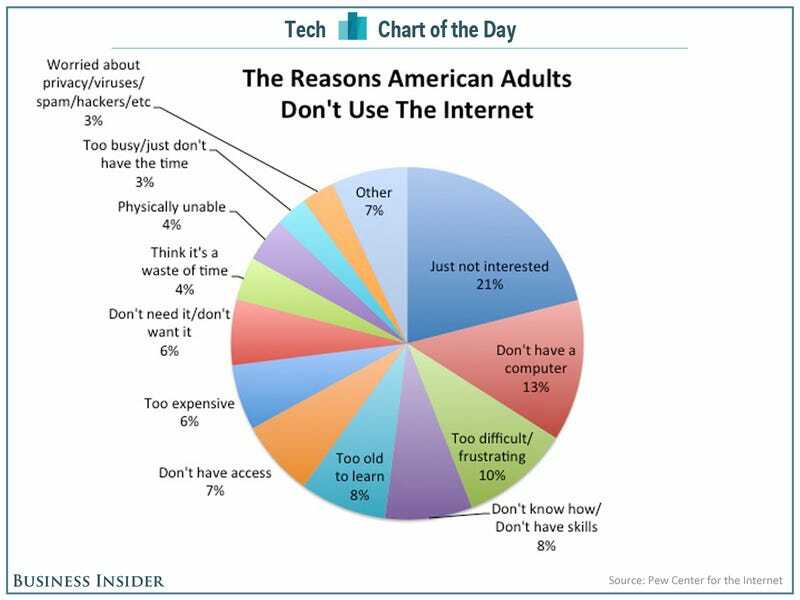 15% of Americans don't use the Internet, notes our Walter Hickey. Why not? The number one reason: They're just not interested! This chart lays out the other reasons.